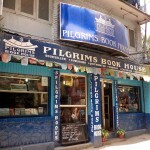 This is part 7 in a series of posts about the history of tourism in Nepal. Here are the previous posts in the series. 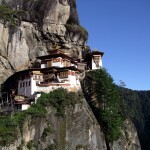 In the last post in this series I wrote about Colonel Jimmy Roberts, the grandfather of trekking. In this week’s post I introduce another pivotal figure in the early development of tourism in Nepal, a flamboyant former ballet dancer called Boris Lisanevich, whose colourful life reads like a surreal fairy tale. If Roberts is the grandfather of trekking in Nepal, the man who more than anyone can be regarded as the grandfather of Nepal tourism in general is Boris of Kathmandu (who from now on I’m just going to call Boris because with a name like that, well, you just have to). 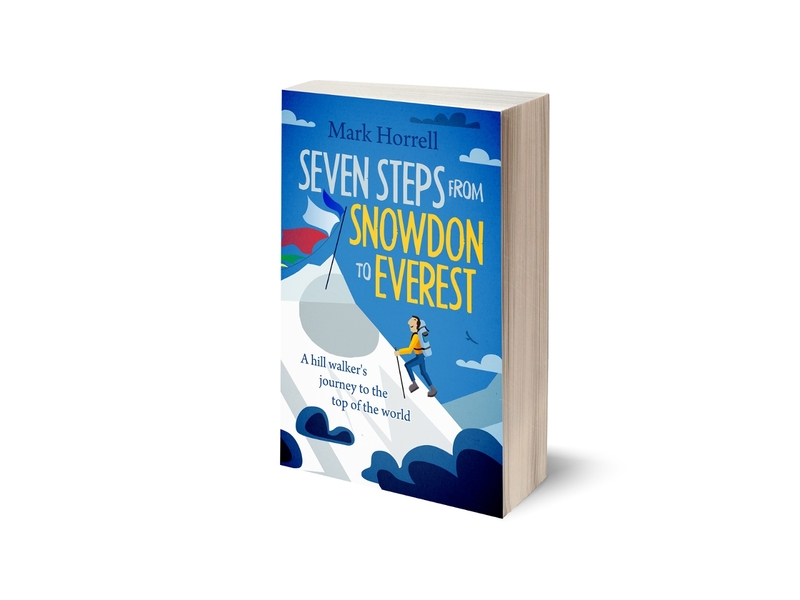 It was a series of unlikely chance incidents that took him to Nepal, which illustrate as well as anything can that life never turns out the way you plan it. 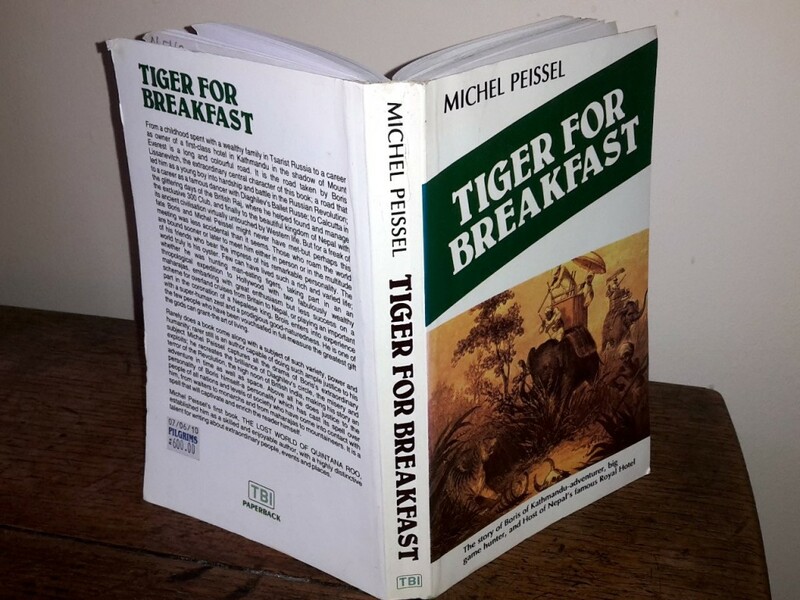 We owe much of what we know about Boris to French ethnologist and explorer Michel Peissel, who was so intrigued by his life that in 1966 he wrote a quirky biography about him called Tiger for Breakfast, which is essential reading for any traveller with an interest in Nepal. Born in Odessa, Ukraine in 1905, the son of a wealthy horse trader and youngest of four brothers, Boris’s childhood was spent in the Navy Cadet School, preparing him for a life in the Russian military like his brothers before him. Then the Russian Revolution of 1917 which brought the Communists to power intervened. Members of the Russian military, even 12-year-old boys, weren’t looked upon favourably by the new regime, and to hide his credentials Boris’s parents signed him up with the local ballet school. It was while performing there that Boris got his chance to escape from the Soviet Union. There was a fire during a performance of Meyerbeer’s The Prophet, an opera which requires part of the scenery to be set on fire to simulate a castle being razed, and the entire Odessa Opera House burned to the ground. Boris’s employers sent him to Berlin to gather information on the latest lighting and stage techniques, but he fled to Paris and claimed asylum as a refugee. He made ends meet by doing odd jobs as a stage performer, but as luck would have it, the famous Russian ballet impresario Sergei Diaghilev dropped by with his touring theatre company Ballet Russes. Boris auditioned, and was offered a very small part (as the bishop said to the actress). He remained with Ballet Russes until Diaghilev’s death in 1929, when the company was disbanded. Ballet was popular in Western Europe at the time, and his reputation as a Russian ballet dancer who had danced with Ballet Russes meant Boris was able to find plenty more work. 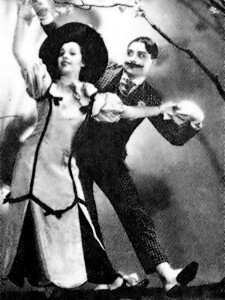 He ended up in London, performing in a long-running and successful play called The Miracle with the choreographer Leonide Massine. It seemed Boris’s life as a man who makes a living prancing around a stage with no strides on was mapped out before him, but again fate intervened. He was invited to sign up for another 40-week run of The Miracle when his status as a refugee led to him being unable to extend his visa. He was invited to tour Southeast Asia with his dance partner Kira Stcherbatcheva. Their tour took them to Bombay, Calcutta, Bali, Singapore and Shanghai. It also introduced Boris to wildlife tourism, which in the 1930s meant shooting endangered animals. On a three-month tour through the jungles of Cambodia, Boris bagged 13 bantengs (a type of wild cattle), 12 gaur (a rare species of bison), six leopards, two clouded leopards and six tigers. Boris decided Southeast Asia offered him opportunities that he couldn’t possibly have as a refugee in Europe. He returned to Calcutta and opened an exclusive members’ club, the 300 Club, in an old palace called Phillips’ Folly. This brought him into contact with the cream of Indian society. The names of some the club’s first members reads like a Who’s Who of unlikely-sounding Indian princes: the Maharaja of Cooch Behar, His Highness the Geekwar of Baroda, the Maharaja of Durbhanga, and Maharaj Prithy Singh of Baria, not to mention the Nadja of Nilgiri and the Todja of Tilkuti (actually, I may have made these last two up). Boris’s friendship with the Maharaja of Cooch Behar, who shared his love of shooting and often invited him to his private estate for a weekend of tiger bagging, introduced him to a Nepalese general called Mahabir Shumsher Jung Bahadur Rana, an estranged member of Nepal’s ruling elite. 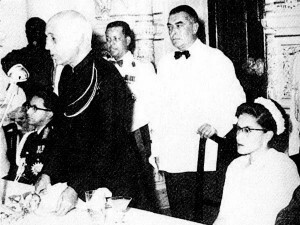 General Mahabir brought King Tribhuvan of Nepal to the 300 Club, where legend has it they secretly plotted the downfall of the Rana regime in Boris’s private apartments above the club. Whether this is true or not, the Ranas were eventually overthrown and King Tribhuvan returned to Kathmandu as head of a restored monarchy in 1950. Boris sensed another land of opportunity in Nepal and he convinced the new Minister for Industry, his friend General Mahabir, that all the homemade chang and rakshi being drunk in Nepal meant there was money to be made by introducing a tax on alcohol, and that Boris should be granted the exclusive license to produce spirits for the whole of the Kathmandu Valley. In return Boris guaranteed the government 120,000 rupees in tax a year, and signed a contract to import 5,000 gallons of spirits a month from India to his new distillery in Biratnagar. As business ideas go, this had as much chance of succeeding as a tiger-skin disguise modelled on the Hull City football shirt. Inevitably his plan backfired as 1,200 “illegal” home distilleries continued to operate, and the local police, happy enough to buy cheap local booze instead of Boris’s expensive taxed produce, refused to close them down. In fact, his scheme was so unpopular with the locals that the government revoked his license before he even had chance to sell anything. When he tried to sue them for breach of contract he couldn’t find any legal process in Nepal that enabled him to do so. In retaliation the government put him in prison for non-payment of the 120,000 rupees he had guaranteed, and locals came in to look at him like a monkey in a zoo. But the government seemed as uncertain what to do as David Bowie opening his wardrobe. After three months they released Boris without charge, and asked him to provide the catering for the new King Mahendra’s coronation. The scale of the logistics required for this celebration virtually caused Boris to start up Nepal’s tourist industry on his own. He opened the Royal Hotel in an old Rana palace, the very first hotel in Kathmandu suitable for entertaining western dignitaries. Gaucher (literally “Cow Field”) Airport was refurbished and Boris chartered three DC3 aircraft to airlift a cargo of 6,000 live chickens, 1,000 guinea fowl, 2,000 ducks, 500 turkeys, 100 geese, a ton and a half of dead fish, two tons of vegetables and two tons of ice from Patna in India. Taxis, servants, bathtubs, china, cutlery and crystal glasses were all imported, and eight new miles of road built for the occasion. A village of tents was erected in the grounds of the Royal Hotel to accommodate the 160 visiting journalists. As more climbing permits came to be issued for mountaineering expeditions in the 1950s, the Yak and Yeti Bar at the Royal Hotel came to be a home in Kathmandu for many western mountaineers. 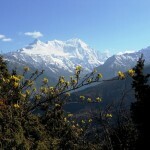 Boris became good friends with one of the regulars, Jimmy Roberts, who after experiences like his trek with Tilman in 1950, his expedition to Machapuchure in 1957, and his reconnaissance to Mera Peak in 1953, set up a guiding agency in 1964 called Mountain Travel Nepal, and helped to establish the trekking industry. Boris was a key figure in this development, as the Royal Hotel was the very first, and for many years the only, hotel that could fulfil the expectations of western tourists. Boris was undoubtedly instrumental to Nepal’s development as a tourist destination, but in the 21st century it’s impossible to discuss his life without also discussing the damage he contributed to Nepal’s tourist potential. In 1961 he was asked to organise a royal hunt to celebrate the visit of our very own Queen Elizabeth II and Prince Philip. Four hundred elephants were assembled for the occasion on the banks of the Rapti River in what is now Chitwan National Park. Foreign Secretary Lord Hume and Rear Admiral Bonham-Carter bagged a rhino and tiger respectively, but Prince Philip – who, let’s be clear, does for diplomacy what Bob Dylan did for the art of singing – turned up with a bandage on his right hand, claiming that he had an infected trigger finger and couldn’t shoot. It was long overdue. In 1911 Queen Elizabeth’s grandfather King George V visited Chitwan and bagged 21 tigers, 8 rhinos and one sloth bear. 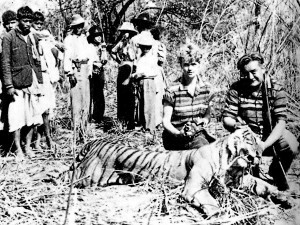 In 1921 her uncle Edward VIII shot 17 tigers, 10 rhinos, 2 leopards and 2 bears. That even Prince Philip could exercise discretion demonstrates that by 1961 attitudes had become more enlightened. Tigers have been in critical decline in Nepal for many years, as they are worldwide. The good news is that a recent census revealed there has been a significant increase since the low of 121 measured in 2009. Even so there are now just 198 animals. The story is similar for rhinos. There are now an estimated 645 from the low of 534 estimated in 2011. 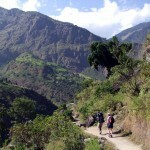 It is one aspect of the tourist industry where Nepal’s government and their partners seem to have been effective. The luxury 5-star Hotel Yak and Yeti now stands on the site of Boris’s Royal Hotel, but Kathmandu and Nepal have moved on from those days. His story now reads like a quaint relic of a bygone age, but what an interesting life it was. He was a product of his time, and instead of being judged for what is now unacceptable, he deserves to be remembered for his pioneering achievements. Thanks for another interesting and informative peak into Nepal’s past. I think old Boris of Kathmandu would have been very interesting to meet. BTW, Bob Dylan is a lousy singer IMO!! Those are some fantastic quotes!! I love the one from 1981. I’m glad we are in agreement on Bob Dylan’s vastly overrated musical ability. I have a few memories of Boris as I knew him when I lived in Kathmandu as a kid. How can I send you a photo of Boris with me and my parents? Can’t do it through this forum.